Multi-millionaire Michael Green is facing the unenviable prospect of having his television career end in humiliating fashion, as he faces his own high noon on Tuesday. Michael Green, 55, is fighting for his professional life after a group of shareholders, led by investment group Fidelity, called for his replacement as chairman-designate for the new ITV plc, founded by the merger of Carlton and Granada. It will take all of Mr Green's fighting skills, and considerable charm, to survive the calls for his sacking and to ensure he continues in his designated role as ITV plc chairman. Shareholders are reported to be disillusioned with his management style, following the ITV Digital debacle, and worried about his ability as ITV plc chairman to work with chief executive Charles Allen, currently Granada chairman. The Carlton boss was born Michael Philip Green, on 2 December 1947, to Cyril, a shirt manufacturer, and Irene Green, a doctor. His grandparents had fled anti-Jewish pogroms in eastern Europe, and his father went on to run a successful business making drip-dry shirts. The business was sold when Mr Green was 13. He was educated on a scholarship at Haberdashers' Aske's, a Hertfordshire public school, where he famously gained only three O Levels. After a spell working in public relations, his business career began in 1968 when he co-founded with his brother a company called Tangent Industries. This printing business provided estate agents with a direct-mail service. They expanded into the mail order catalogues business, and he was a millionaire by the age of 21. The company was expanded through takeovers and floated on the stock market in 1983. 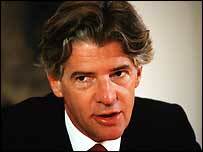 In 1972, aged 24, he married Janet Francis Wolfson, daughter of Sir Isaac Wolfson, founder of Great Universal Stores. They had two daughters before their marriage was dissolved in 1989, and he married Theresa Mary Buckmaster, an analyst at Carlton, in 1990. The couple have three sons and one daughter. In 1987 Green purchased a stake in Carlton TV, and two years later the company bought American firm Technicolor. Carlton went on to become an extremely lucrative video production business, and remains a leading supplier of editing technology. In 1991 came one of Green's greatest coups, as Carlton managed to wrest the weekday London ITV franchise away from long-standing holder Thames TV. Unlike previous franchise decisions where programme quality was an over-riding factor, this round was made on the basis of the highest bidder. Margaret Thatcher had been a strong supporter of these new conditions, drawn up in the 1990 Broadcasting Act, and it was said she had been strongly influenced by the Tory-leaning Mr Green. As chairman of Carlton, Green was now a major TV player, and with Granada, hastened the consolidation of UK commercial television by buying up regional outfits like HTV and Central. 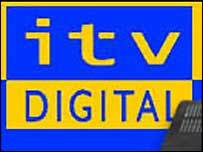 But despite his seemingly inexorable success, there was a large storm cloud on the horizon - ITV Digital - launched by Carlton and Granada in partnership to compete with BSkyB. Launched as OnDigital by Ulrika Jonsson, and later promoted by comedian Johnny Vegas and a knitted monkey, it struggled to compete with BSkyB's digital operation. It paid a small fortune to show Nationwide League football matches, but was hit by an extreme downturn in advertising. By the time of its demise in early 2002, the damage to Granada/Carlton shareholders was more than £1bn. In the last couple of years ITV has also come under fire for relying too much on celebrities, soaps and reality TV, catering for a poorer and declining audience. With government approval for a national ITV plc, the creation of a "third force" to compete with the BBC and BSkyB, he may have thought his fortunes had taken a change for the better. But there had already been rumblings that the partnership of Mr Green as chairman and Charles Allen of Granada as chief executive was not a marriage made in heaven. The line-up of Mr Allen and Mr Green had already been agreed when the firms first announced they had been holding merger talks nearly 18 months ago. "It's hard to see them working harmoniously together given the scale of their spectacular egos," said the BBC's Business Editor Jeff Randall when the merger was announced. "It will be like two ferrets in a sack." It is thought that Mr Green's relatively privileged background and attitudes are too different from Mr Allen, the son of a barber, whose first job was in a shipyard. But before the pair can look forward to working together Mr Green faces the biggest challenge of his career in facing down the City calls for him to go from ITV plc. "The big investors don't want Green to take the top job"